What is truth? How can one be true to oneself without knowing what it means? How can one be sure to tell the truth when reality is such a difficult thing to attain? So many philosophers have struggled to define truth, each one of them coming up with enriching ideas that shed light on the concept from as many different angles. 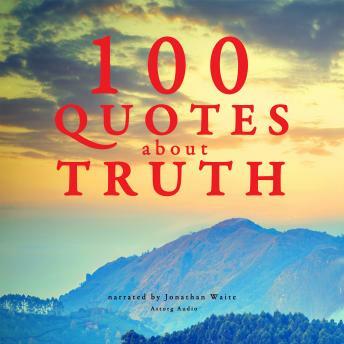 We have selected for you 100 of the most profound, revealing, and fascinating quotes about truth; these witticisms, remarks and pearls of wisdom will provide you with inspiration, food for thought, and different ways to relate to this essential concept.